We are very proud of our Netball teams at The Rodillian Academy. The Netball structure allows our best players to access more coaching and allows those who are developing their skills plenty of opportunity to progress through the A and B teams. We currently have A and B teams throughout years 7-11. These teams compete in the Leeds City Netball League and The South Leeds Netball League. Over the past 5 years we have had great success in these leagues. Last year the Year 7 and Year 9 teams won their leagues. We actively promote the key values of dedication, commitment, respect and sportsmanship and expect all of our team members to have these key core values to be a part of the Netball teams. Netball is played as the main sport throughout all year groups in the first term. 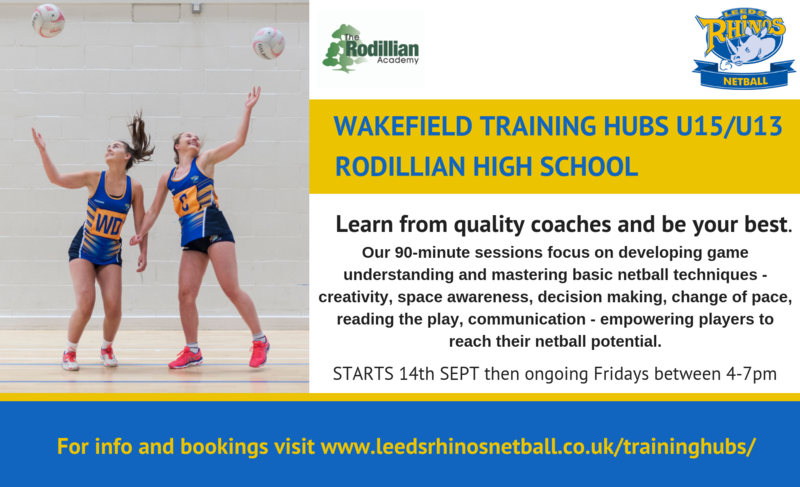 We have strong links with Rothwell Netball Juniors club and all players are encouraged to play Netball outside of school. Netball is part of the enrichment projects in years 8 and 9. 16 girls have been selected from each year group to take part in the programme. The girls have been chosen based upon their effort, attainment and progress during their Physical Education lessons. The aim of this enrichment project is to develop the necessary skills, techniques and tactics to compete in netball at a high standard against other schools across Leeds. As part of the programme the girls will take part in skill based learning, game play and fitness activities, which are all essential components in a game of netball. Every half term the girls take part in various team bonding activities such as ten pin bowling, orienteering and raft building. These activities are designed to make the team work together and become united as a team. As well as these activities the girls will be taken to watch competitive netball across the city e.g. Yorkshire Jets, Leeds Met and England. 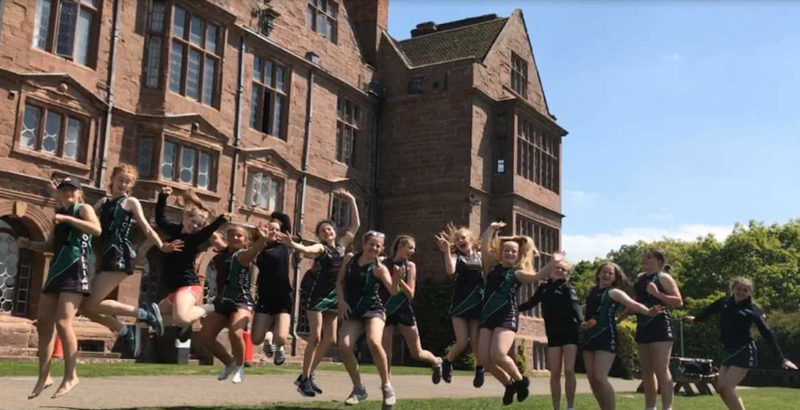 We are amazingly proud of all our pupils in the Netball Academies and the amount of effort and additional commitment they put into the squads to ensure they are successful. The 17-18 season has seen a superb set of results from all squads, in both league games and friendlies against some big competitors. This has resulted in some impressive wins against some of the leading netball schools, including GSAL and Queen Ethelburgas. The year 8 & 9 squads both finished second within their league and the year 11’s and seniors both took first place! There was also progress within tournaments, with the year 7 squad reaching the quarter finals on two separate occasions, which shows how far they’ve progressed from their first initial set of results. Saturday 4th November 2017 – Queen Ethelburga’s School, YorkIf you foresee any issues relating to your child’s availability to attend any of the above fixtures, these please contact Mr Gostling in good time. Executive Headmaster, Mr Goulty and Head of School, Ms Bradley are in full support of Saturday fixtures and expect students to show a commitment to the school by honouring their selection. Tue, 18/09/2018Year 11 - Netball Vs Tournament Otley Prince Henry's Grammar School Specialist Language College (Farnley Lane, Otley, West Yorkshire, United Kingdom) 11:50am 4:30pmRunner's up (2nd). Wed, 19/09/2018Post 16 - Netball Vs Woodhouse Grove SchoolWoodhouse Grove School (Apperley Bridge, Bradford, West Yorkshire, United Kingdom) 2:30pm 6:00pmLost to WGS A 11-8. Won to WGS B 10-4. Thu, 04/10/2018Year 8 - Netball Vs GSALThe Grammar School at Leeds (Alwoodley Gates Harrogate Road, Leeds, West Yorkshire, United Kingdom) 2:30pm 6:00pmLost: 11-2. Mon, 08/10/2018Year 9 - Netball Vs GSALThe Grammar School At Leeds (Alwoodley Gates Harrogate Road, Leeds, West Yorkshire, United Kingdom) 2:30pm 6:30pmWon: 9-5. Mon, 08/10/2018Year 11 - Netball Vs GSALThe Grammar School At Leeds (Alwoodley Gates Harrogate Road, Leeds, West Yorkshire, United Kingdom) 2:30pm 6:30pmWon: 10-9. Mon, 08/10/2018Year 9 - Netball Vs St Mary Menston The Grammar School at Leeds (Alwoodley Gates Harrogate Road, Leeds, West Yorkshire, United Kingdom) 2:30pm 6:30pmLost: 15-10. Mon, 08/10/2018Year 10 - Netball Vs GSALThe Grammar School At Leeds (Alwoodley Gates Harrogate Road, Leeds, West Yorkshire, United Kingdom) 2:30pm 6:30pmWon: 12-11. Thu, 18/10/2018Year 10 - Netball Vs Invite Tournament The Rodillian Academy (Longthorpe Lane, Lofthouse, Wakefield, 3831, United Kingdom) 1:00pm 4:20pmTwo squads selected. Wed, 24/10/2018Year 7 - Netball Vs Abbey Grange The Rodillian Academy (Longthorpe Lane, Lofthouse, Wakefield, 3904, United Kingdom) 2:30pm 5:00pmWon: 19-5. Wed, 24/10/2018Post 16 - Netball Vs Abbey GrangeThe Rodillian Academy (Longthorpe Lane, Lofthouse, Wakefield, 3904, United Kingdom) 2:30pm 5:00pmWon: 18-17. Thu, 25/10/2018Year 10 - Netball Vs Leeds West AcademyThe Rodillian Academy (Longthorpe Lane, Lofthouse, Wakefield, 3904, United Kingdom) 2:30pm 5:00pmWon: 20-2. Thu, 25/10/2018Year 11 - Netball Vs Leeds West AcademyThe Rodillian Academy (Longthorpe Lane, Lofthouse, Wakefield, 3904, United Kingdom) 2:30pm 5:00pmWon: 19-10. Wed, 14/11/2018Year 9 - Netball Vs Leeds West AcademyLeeds West Academy (Intake Lane, Rodley, Leeds, 3828, United Kingdom) 2:30pm 5:30pmWon 27-7. Thu, 15/11/2018Year 7 - Netball Vs BrigshawBrigshaw High School (Brigshaw Ln, Allerton Bywater, West Yorkshire, United Kingdom) 2:30pm 5:30pmWon 30-3. Thu, 15/11/2018Year 8 - Netball Vs Brigshaw Brigshaw High School (Brigshaw Ln, Allerton Bywater, West Yorkshire, United Kingdom) 2:30pm 5:30pmWon: 14-8. Tue, 20/11/2018Year 8 - Netball Vs FulneckFulneck School (Fulneck, Leeds, West Yorkshire, United Kingdom) 2:30pm 6:00pmCancelled, to be re-arranged. Tue, 20/11/2018Post 16 - Netball Vs FulneckFulneck School (Fulneck, Leeds, West Yorkshire, United Kingdom) 2:30pm 6:00pmCancelled, to be re-arranged. Wed, 21/11/2018Year 8 - Netball Vs Prince Henry Grammar SchoolThe Rodillian Academy (Longthorpe Lane, Lofthouse, Wakefield, 3904, United Kingdom) 2:30pm 5:30pmCancelled, to be re-arranged. Wed, 21/11/2018Year 11 - Netball Vs Prince Henry Grammar SchoolThe Rodillian Academy (Longthorpe Lane, Lofthouse, Wakefield, 3904, United Kingdom) 2:30pm 5:30pmCancelled, to be re-arranged. Mon, 03/12/2018Year 8 - Netball Vs Garforth AcademyThe Rodillian Academy (Longthorpe Lane, Lofthouse, Wakefield, 3904, United Kingdom) 2:30pm 5:00pmRodillian won: 12-9. Mon, 03/12/2018Year 7 - Netball Vs Garforth AcademyThe Rodillian Academy (Longthorpe Lane, Lofthouse, Wakefield, 3904, United Kingdom) 2:30pm 5:00pmRodillian won: 21-0. Fri, 07/12/2018Year 8 - Netball Vs Harrogate GrammarThe Rodillian Academy (Lofthouse, England, United Kingdom) 2:00pm 3:30pm8A & 8B lost. Fri, 07/12/2018Year 7 - Netball Vs Harrogate GrammarThe Rodillian Academy (Lofthouse, England, United Kingdom) 2:30pm 4:30pm7A won. Thu, 13/12/2018Year 10 - Netball Vs Ralph ThoresbyRalph Thoresby School (Holtdale Approach, Leeds, West Yorkshire, United Kingdom) 2:30pm 4:30pmCancelled. Thu, 13/12/2018Year 7 - Netball Vs Ralph ThoresbyRalph Thoresby High School (Farrar Lane, Leeds, West Yorkshire, United Kingdom) 2:30pm 4:30pmWon: 23-5. Player of the match: Edie. Mon, 17/12/2018Year 8 - Netball Vs HorsforthThe Rodillian Academy (Lofthouse, England, United Kingdom) 2:30pm 5:15pmRodillian won: 28-3. Mon, 17/12/2018Post 16 - Netball Vs HorsforthThe Rodillian Academy (Lofthouse, England, United Kingdom) 2:30pm 5:15pmCancelled, to be re-arranged. Wed, 19/12/2018Year 7 - Netball Vs CockburnThe Rodillian Academy (Lofthouse, England, United Kingdom) 2:30pm 4:30pmCancelled. Thu, 20/12/2018Year 10 - Netball Vs Prince Henry Grammar SchoolPrince Henry's Grammar School, Otley;WebsiteDirections 2:30pm 6:00pmRodillian lost. Thu, 20/12/2018Post 16 - Netball Vs Prince Henry Grammar SchoolPrince Henry's Grammar School, Otley;WebsiteDirections 2:30pm 6:00pmRodillian lost. Thu, 20/12/2018Year 9 - Netball Vs Prince Henry Grammar SchoolPrince Henry's Grammar School, Otley;WebsiteDirections 2:30pm 6:00pmRodillian won. Thu, 17/01/2019Year 9 - Netball Vs Corpus ChristiCorpus Christi Catholic College (Neville Road, Leeds, West Yorkshire, United Kingdom) 2:30pm 4:30pmCancelled. Thu, 17/01/2019Year 8 - Netball Vs Corpus ChristiCorpus Christi Catholic College (Neville Road, Leeds, West Yorkshire, United Kingdom) 2:30pm 5:30pmWon: 5-4. Thu, 17/01/2019Year 7 - Netball Vs Corpus ChristiCorpus Christi Catholic College (Neville Road, Leeds, West Yorkshire, United Kingdom) 2:30pm 5:30pmWon: 15-3. Player of the match: Esther. Thu, 17/01/2019Year 10 - Netball Vs Corpus Christi Corpus Christi Catholic College (Neville Road, Leeds, West Yorkshire, United Kingdom) 2:30pm 5:30pmWon: 11-3. Fri, 18/01/2019Year 8 - Netball Vs Woodhouse GroveThe Rodillian Academy (Longthorpe Lane, Lofthouse, Wakefield, 3904, United Kingdom) 2:30pm 5:00pmCancelled. Fri, 18/01/2019Year 7 - Netball Vs Woodhouse GroveThe Rodillian Academy (Longthorpe Lane, Lofthouse, Wakefield, 3904, United Kingdom) 2:30pm 5:00pmLost. Mon, 21/01/2019Year 8 - Netball Vs Brayton Brayton Academy (Doncaster Road, Selby, North Yorkshire, United Kingdom) 2:30pm 5:30pmRodillian won. Mon, 21/01/2019Year 7 - Netball Vs BraytonBrayton Academy (Doncaster Road, Selby, North Yorkshire, United Kingdom) 2:30pm 5:30pmRodillian won. Wed, 23/01/2019Year 9 - Netball Vs FeatherstoneThe Rodillian Academy (Lofthouse, England, United Kingdom) 8:00am 8:30amCancelled. Wed, 23/01/2019Year 8 - Netball Vs FeatherstoneThe Rodillian Academy (Lofthouse, England, United Kingdom) 2:30pm 5:00pmCancelled. Thu, 24/01/2019Year 9 - Netball Vs Guiseley Guiseley School (Fieldhead Road, Guiseley, Leeds, 3876, United Kingdom) 2:30pm 5:30pmRodillian won. Thu, 24/01/2019Year 10 - Netball Vs Guiseley Guiseley School (Fieldhead Road, Guiseley, Leeds, 3876, United Kingdom) 2:30pm 5:30pmRodillian lost. Mon, 28/01/2019Year 10 - Netball Vs RoundhayThe Rodillian Academy (Lofthouse, England, United Kingdom) 2:30pm 5:10pmRodillian won. Player of the match: Chloe. Mon, 28/01/2019Year 9 - Netball Vs RoundhayThe Rodillian Academy (Lofthouse, England, United Kingdom) 2:30pm 5:10pmRodillian won. Wed, 30/01/2019Year 7 - Netball Vs FeatherstoneThe Rodillian Academy (Lofthouse, England, United Kingdom) 2:30pm 4:30pmCancelled. Fri, 01/02/2019Year 7 - Netball Vs League Tournament Woodhouse Grove School (Apperley Bridge, Bradford, West Yorkshire, United Kingdom) 1:00pm 4:30pmCancelled, to be re-arranged. Mon, 04/02/2019Year 7 - Netball Vs RoundhayRoundhay School (Old Park Rd, Leeds, 3840, United Kingdom) 2:30pm 5:30pm7A won. Wed, 13/02/2019Year 11 - Rodillian Vs Prince HenrysThe Rodillian Academy (Lofthouse, England, United Kingdom) 2:30pm 5:00pmRodillian won. Wed, 13/02/2019Year 8 - Rodillian Vs Prince HenrysThe Rodillian Academy (Lofthouse, England, United Kingdom) 2:30pm 3:00pmBeat B's. Tue, 26/02/2019Year 9 - Netball Vs Invitation Tournament Allerton High School (King Lane, Leeds, West Yorkshire, United Kingdom) 1:00pm 4:30pm1st Place! Thu, 28/02/2019Year 8 - Rodillian Vs FulneckFulneck School (Pudsey, England, United Kingdom) 2:30pm 6:00pmLost: 15-3. Thu, 28/02/2019Post 16 - Rodillian Vs FulneckFulneck School (Pudsey, England, United Kingdom) 2:30pm 6:00pmDrew 22-22. 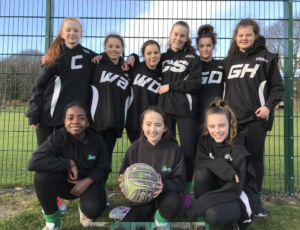 Fri, 01/03/2019Year 7 - Netball Vs League Tournament Woodhouse Grove, Huddersfield, England, HD2 1, United Kingdom 12:00pm 5:00pm1st Place! Wed, 06/03/2019Year 9 - Rodillian Vs FeatherstoneFeatherstone Academy (The Avenue, West Midlands, United Kingdom) 1:30pm 4:30pmRodillian won. Wed, 06/03/2019Year 8 - Rodillian Vs FeatherstoneFeatherstone Academy (The Avenue, West Midlands, United Kingdom) 1:30pm 4:30pmRodillian won. Thu, 07/03/2019Year 8 - Netball Vs Allerton High SchoolAllerton High School (King Lane, Leeds, West Yorkshire, United Kingdom) 2:30pm 5:30pmRodillian lost. 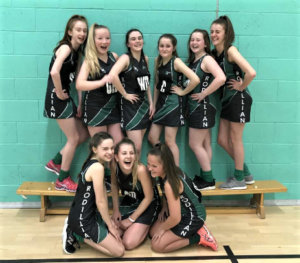 Thu, 07/03/2019Year 10 - Netball Vs Allerton High Allerton High School (King Lane, Leeds, West Yorkshire, United Kingdom) 2:30pm 5:30pmRodillian won. Fri, 08/03/2019Year 10 - Netball Vs Queen Ethelburga Queen Ethelburga's Collegiate (Thorpe Underwood Estate, York, North Yorkshire, United Kingdom) 2:30pm 6:30pmRodillian lost. 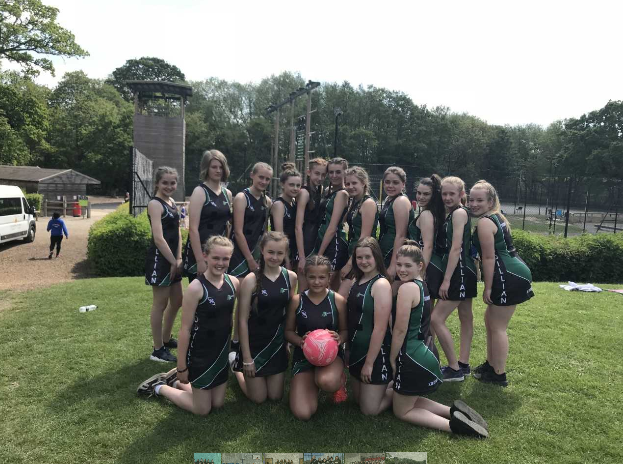 Fri, 08/03/2019Year 8 - Netball Vs Queen Ethelburga Queen Ethelburga's Collegiate (Thorpe Underwood, England, United Kingdom) 2:30pm 6:30pmRodillian lost. Fri, 08/03/2019Year 7 - Netball Vs Queen EthelburgaQueen Ethelburga's Collegiate (Thorpe Underwood, England, United Kingdom) 2:30pm 6:30pmRodillian won. Fri, 08/03/2019Year 9 - Netball Vs Queen EthelburgaQueen Ethelburga's Collegiate (Thorpe Underwood, England, United Kingdom) 2:30pm 6:30pmRodillian won. Mon, 11/03/2019Year 9 - Netball Vs GatewaysGateways School (Leeds Rd, Harewood, West Yorkshire, United Kingdom) 2:30pm 6:30pmRodillian lost. Mon, 11/03/2019Year 11 - Netball Vs GatewaysGateways School (Leeds Rd, Harewood, West Yorkshire, United Kingdom) 2:30pm 6:30pmRodillian lost. Wed, 13/03/2019Year 7 - Netball Vs Invite Tournament Allerton High School (King Lane, Leeds, West Yorkshire, United Kingdom) 1:00pm 4:30pmUnable to attend. Mon, 18/03/2019Year 9 - Netball Vs GSALThe Grammar School At Leeds (Alwoodley Gates Harrogate Road, Leeds, West Yorkshire, United Kingdom) 2:30pm 6:00pmPlayed previously in the season. Tue, 19/03/2019Year 8 - Netball Vs Invite Tournament Roundhay School (Old Park Rd, Leeds, 3840, United Kingdom) 1:00pm 4:30pmUnable to attend. Thu, 21/03/2019Year 10 - Netball Vs Abbey GrangeAbbey Grange Church Of England Academy (Butcher Hill, Leeds, 3904, United Kingdom) 2:30pm 5:30pmRodillian drew. Thu, 21/03/2019Year 9 - Netball Vs Abbey Grange Abbey Grange Church Of England Academy (Butcher Hill, Leeds, 3904, United Kingdom) 2:30pm 5:30pmRodillian won. Fri, 22/03/2019Year 10 - Netball Vs The Perse Perse School (Cambridge, England, United Kingdom) 8:00am 5:00pmRodillian lost. Fri, 22/03/2019Year 9 - Netball Vs The Perse & King ElyPerse School (Cambridge, England, United Kingdom) 8:00am 5:00pmRodillian lost to the Perse. Wed, 27/03/2019Year 7 - Rodillian Vs FeatherstoneThe Rodillian Academy (Lofthouse, England, United Kingdom) 1:30pm 4:00pmCancelled. Thu, 28/03/2019Year 7 - Netball Vs Play OffsTBC 8:00am 8:30amRe-arranged to 26/03/2019 at Rodillian. 2:30 - 4pm approx. finish.